A former ambassador of Malta to Libya, George Cassar, passed away on Tuesday. He was appointed ambassador in 2009 and left the country in 2011 during evacuations. Dr Cassar had kept silent throughout the revolution, only breaking that silence during a ‘Times to Debate’ gathering discussing the situation in Libya at the InterContinental Hotel in St Julian’s in September 2011. He had praised the government for decisions it has been taking and said that his had been "a dignified silence”. 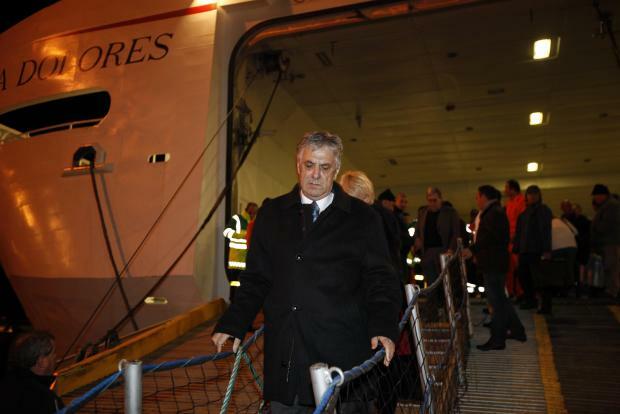 In a statement, the Foreign Affairs Ministry expressed its deepest condolences to Dr Cassar's family and praised his "instrumental" work in the evacuation of Maltese and others during the Libyan crisis. A seasoned diplomat and lawyer of over 40 years standing, his most recent diplomatic experience includes service as the Malta Representative to the African Union and the League of Arab States from 2012 to 2015. He previously served in the Foreign Service of Malta as Ambassador to Egypt (2012-2015), and non-resident Ambassador to Ethiopia and the Sudan (2012-2015), and Ambassador to Libya from 2009 to 2011. Dr Cassar served as legal adviser to the Malta Development Corporation between 1978 and 1988, was chaiman Libyan Arab Maltese Holding Company from 1989 to 2009, of Medavia from 1990 to 2009, and of the Golden Tulip Vivaldi and Milano Due hotels between 1999 and 2009. He also served on the board of directors of several private companies, including Medelec, Mediterranean Power Electric. Dr Cassar earned a Bachelor of Arts in Economics and English in 1970 from the University of Malta and a Doctorate of Laws in 1973, also from the University of Malta. His executive legal education includes earning the postgraduate Diploma in Air and Space Law in 1978 from the London Institute of World Affairs. He was Professor of Diplomacy and distinguished fellow of the New Westminster College of Caucasus University.